Nearly three-quarters (72 percent), of voters support maintaining the Johnson Amendment, which prohibits 501(c)(3) organizations from engaging in partisan political activity. The percentage includes 78 percent of those who voted for Democratic presidential nominee Hillary Clinton and 66 percent of those who voted for President Donald Trump in last November’s election. As previously reported by The NonProfit Times, eliminating the amendment was introduced as part of the Republican Party’s platform during last year’s election to the support of a number or organizations, predominantly religiously affiliated groups. The amendment continues to be of focus as the new administration settles in. 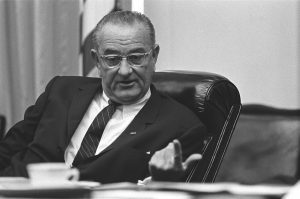 The poll, commissioned by Independent Sector and conducted by TargetPoint Consulting surveyed 800 registered voters regarding the law, named after then-Sen. Lyndon Johnson. Introduced in 1954, the amendment to the tax code creates legal separation between organization and electoral politics – banning charities, including religious organizations, from directly or indirectly supporting or opposing a candidate that the risk of loss of exemption. The amendment’s focus, according to an Independent Sector release, is political activity and does not restrict free speech or ability to engage in policy issues. The Johnson Amendment was among the subjects of discussion at a recent meeting of Independent Sector’s Public Policy Committee, according to Jeff Moore, Independent Sector’s chief strategy officer. “We’re very, very clear that we believe that the repeal of the Johnson Amendment would be a very bad thing for the sector,” Moore said at the time, adding that maintaining the amendment is a priority for Independent Sector.